No matter who you are as a person, what you’ve been through so far, or what are your plans for the future, having a baby will prove to be the most important thing that will ever happen to you in your lifetime. Your whole world will change and the baby becomes more important to you than anything else you ever cared about. Obviously, the emotions of this event intensify greatly if you are going through parenting for the very first time. No matter how much time you get to spend together when you are on a maternity leave, it won’t seem like enough since babies grow up in a blink of an eye. Every day counts, as they learn new things quickly and seem to change every time they get up from their nap. However, most people are not able to become stay-at-home parents, and they will soon find themselves facing the dilemma of whether or not they should put their baby in a creche. The separation from the baby will seem heartbreaking even if you are looking forward to going back to your regular ways of life. Here are some of the important things you should know about this subject, and how to approach it when the time comes. Should You Even Consider a creche? The very first step to making a decision to put your baby in a creche is weighing up its positive and negative aspects. Ask every person you know who’s a parent of a small child about how they organize their childcare. You might discover a solution that has never occurred to you before. Maybe you can reconsider your career and become a stay-at-home parent? How would you feel about that? Could you cope financially? Could you work from home? But whatever you decide to do, don’t feel bad about your decision. Most people, just like you, have to work for a living and, just like you, have to separate from their babies at some point. Unfortunately, most times this separation comes sooner than we feel ready to. If you choose a creche, think of the positive ways it will affect you, your baby and your family as a whole. Know that you are not alone and thousands of parents go through the exact same thing you do. Here are some of the ways that prove that putting your baby in a creche might be a good idea after all. Your baby will be learning many new things at the creche, in a way he would never learn at home. Eating on their own, potty training, getting messy with the watercolours – all those are things that are much easier done in facilities created for babies and small children than at home. That said, it doesn’t mean you wouldn’t be able to potty train your baby, for example. It just means that he or she will learn to do it much easier when he or she sees other babies sitting on a potty as well. 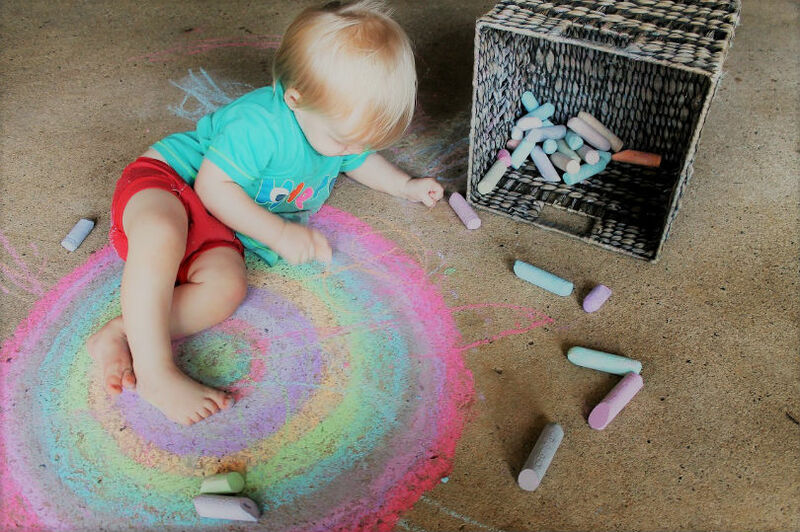 Also, your baby will have the freedom to get as messy as s/he wants to during play, as the babies are not expected, for example, to keep the furniture clean, the way they would be at home. At a creche, your baby will be bound to become more independent faster, as s/he is part of a group, not the king or queen of your house. In a group, they will have to teach themselves to eat, to get attention, to do whatever they need to do to keep up. But don’t be afraid that they will be left alone unsupervised. The fact that they have ‘’competition’’ will just boost their drive to learn new things on their own. At a creche, your baby will have the opportunity to spend time with other children their age, which is something that children who stay at home can miss out on. For example, you can always organize a play date with a relative, or go to the playground or a class. However, unless your baby sees those other children on a regular basis, the chances are the relationship he forms won’t be engaging enough for him to learn some deeper social skills. At a creche, your child will learn how to socialize, s/he will have friends and a little social life of his/her own, filled with birthday parties and other organized events. Don’t be afraid to put your child in a creche because you are being told that s/he will be constantly sick or there are so many changes with the new routine, like getting familiar with the creche, the adaptation, the separation from you and all the stress related. Just remember that a child needs to build up his or her immunity and it is best done in a group of children their own age. Some illnesses are also better dealt with at younger age. This is where looking into www.jinga.life would be super handy, as it keeps your whole family’s medical records in one place, so that you don’t have to panic in case of a cold, an infection or an allergy. No matter how difficult it is to separate yourself from your baby, if you have to, be sure there is no reason for you to feel guilty or bad about the situation. A creche can be a fun and magical place, and choosing the right one for your baby is what will make it easier for you to accept this new step in life.